Welcome to THRIFTASAURUS #117! How are you!? 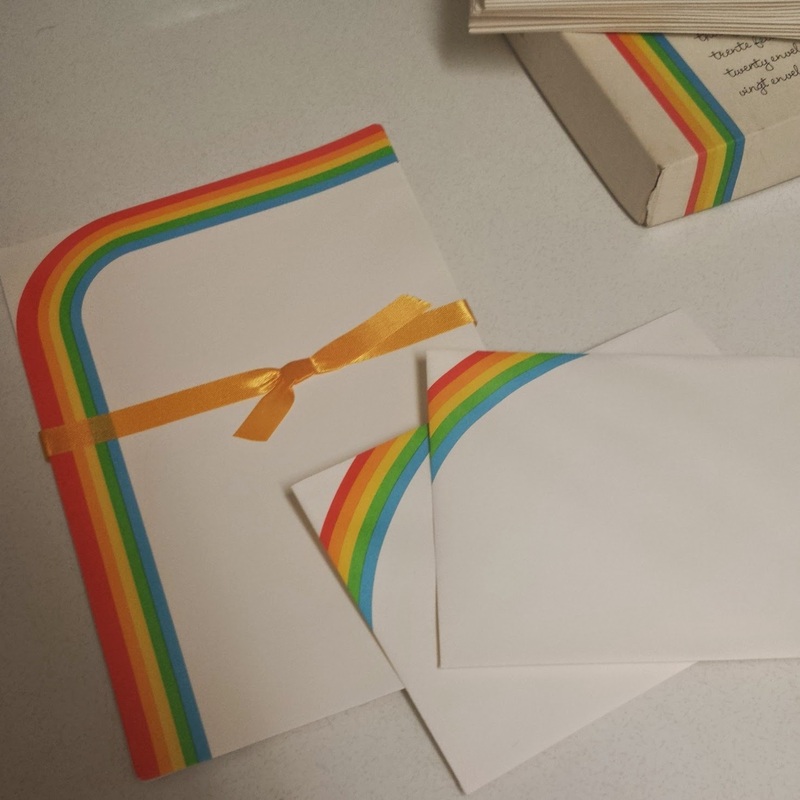 The thrifts weren't too good to me this week for my own personal collections, all I got was this adorable vintage rainbow stationery set, cute, right? I need my penpals back from the back of Teen Bopper Magazine! I had one if the Netherlands & one somewhere in the Caribbean. I had a couple requests to see my kneehugger collection, but it's not all here! Some are relaxing in Michigan at my father's house waiting to come home. Ordered from Instagram & eBay in the last few months. Very neat ones. So when I showcase my collection, I totally want them in there! I am still sick (2 weeks now!)... so Christmas isn't fully packed up. That & I have been waiting on going to Target to get some bins to match the one I already own. The one week I want to go to Target (I have been there 4x since they opened in Canada), they announce they are pulling out of Canada. When they opened in Canada & I went into the store, I told my BF they weren't going to last. I love being right. We are going Monday - hope the tubs are still there! Have heard people say that Target hasn't been so busy, lol. As promised, here is the last of my Christmas for the year! Loooooove it all! This is such an amazing addition to a winking Santa mug collection. It's full of (not too interesting) vintage wrapping paper. 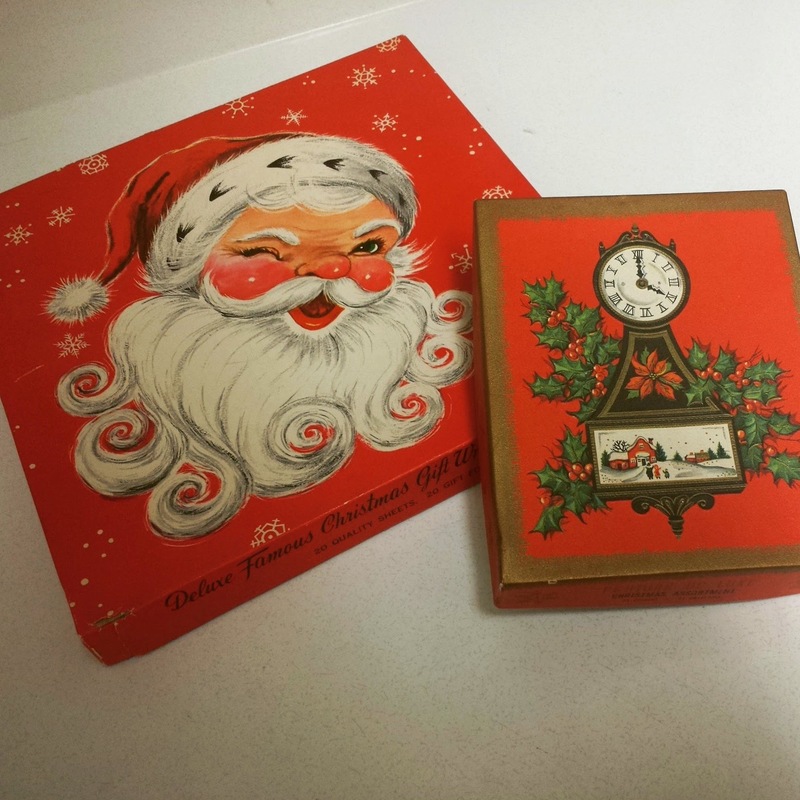 Also a very cheap set of vintage Xmas cards! LOVE. I took a pic of my fav cards from the box. 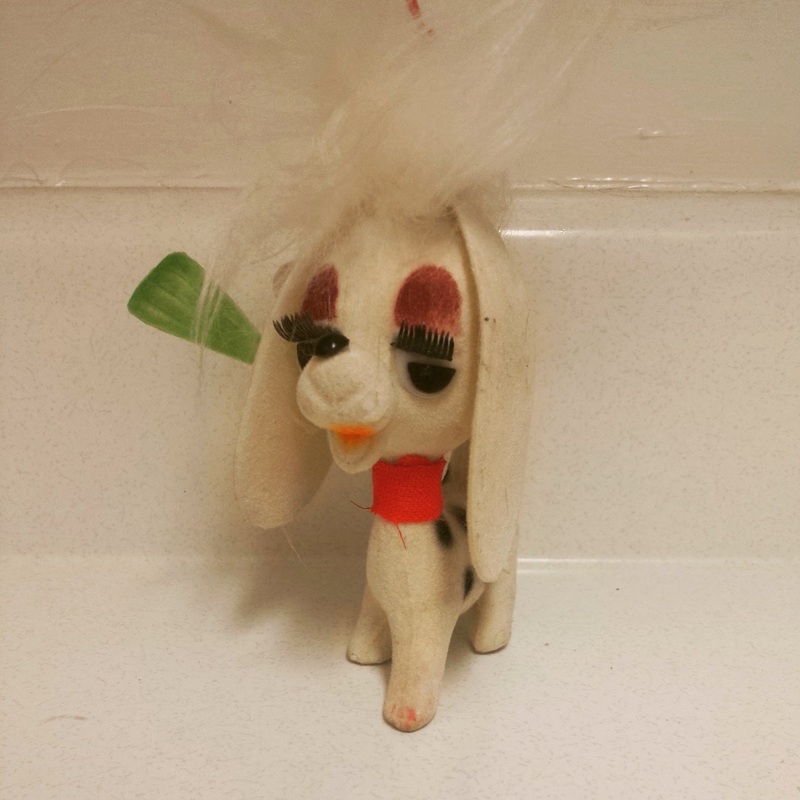 A pixie like I had never seen before. 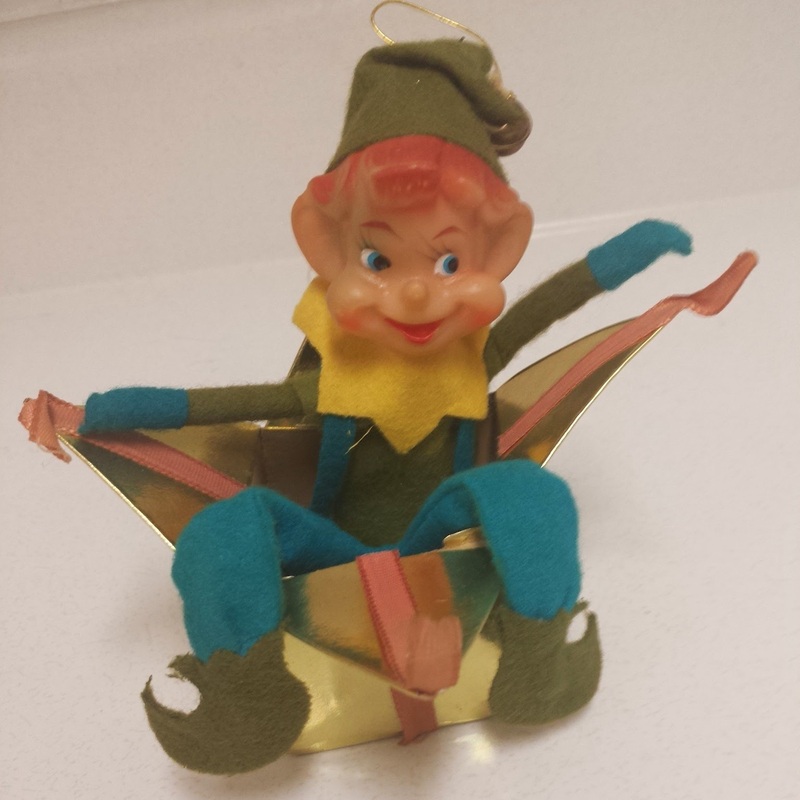 A pixie decoration & a very dirty kneehugger. 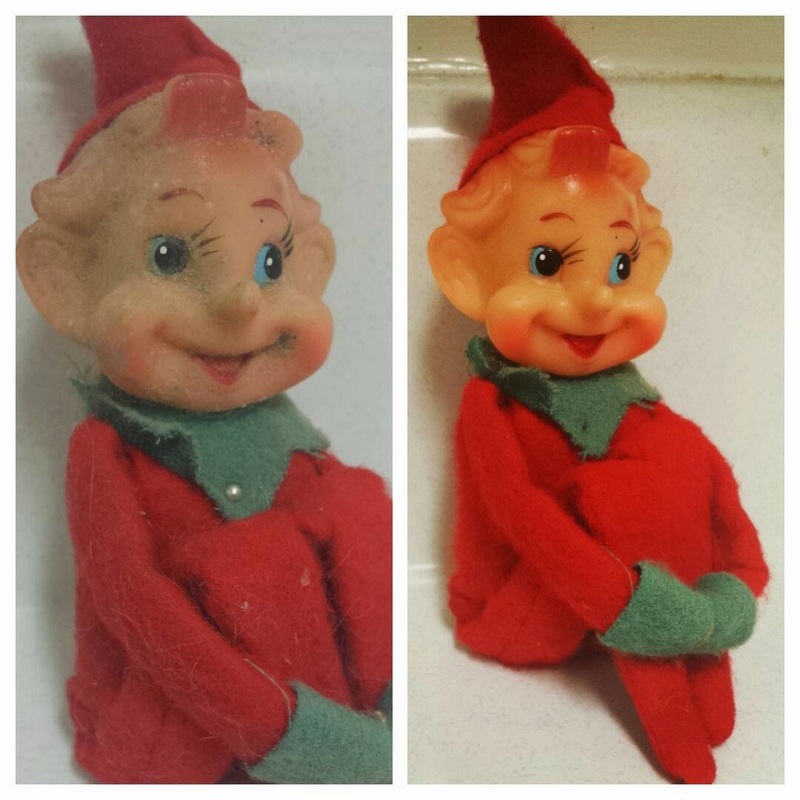 Check out the before & after. Wonder if that was the reason he was the only one left in the market, priced at $4? This thrifted sugarbowl? Is it a sugarbowl? I really had no interest in these German candy nodders until I saw them in real life. They were $25 & up, I didn't wanna pay that, lol. I found a good deal on eBay & snatched it up! Later saw this in an antique market for $85. I know it's not worth $85, but, makes me feel good. & 2 more kneehuggers - from the 400 Antique Market. That's it for this edition of Thriftasaurus. Can't wait to see what you've dug up! Thats a long time not feeling well. Hope you don't mind that my thrifted finds are sitting inside my booth. Just pictures of my finds. Thanks for Thriftasaurus no. 117. 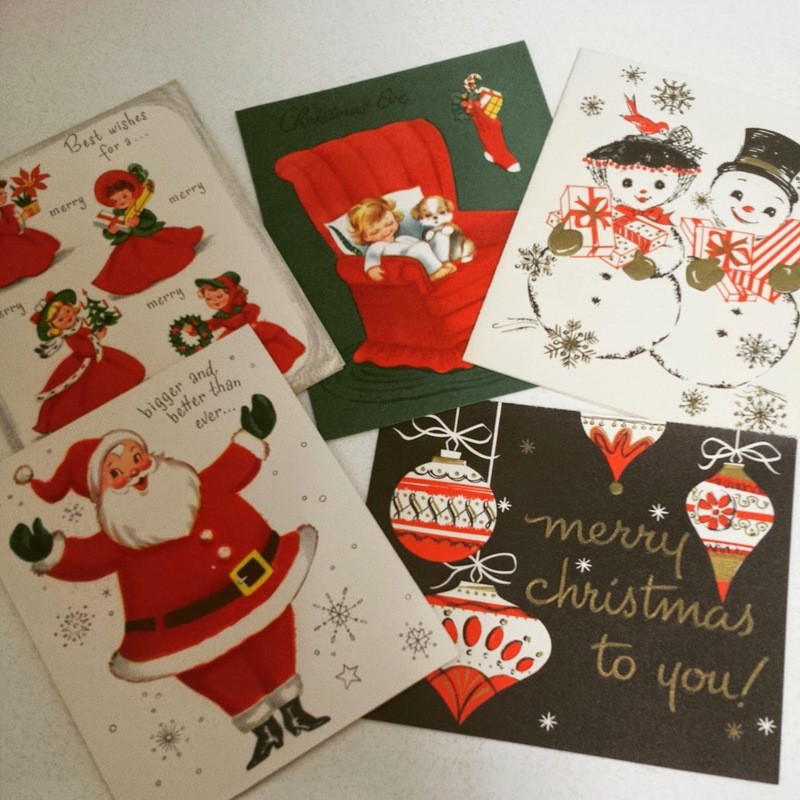 Vintage cards! Love those! 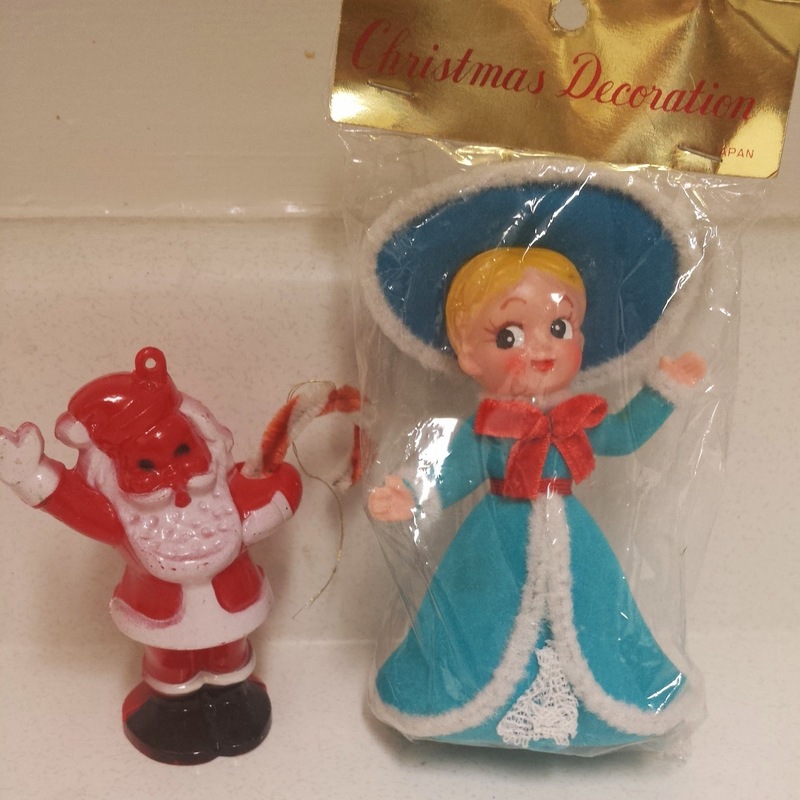 Vintage Christmas is the best. I love all your Christmas goodies. 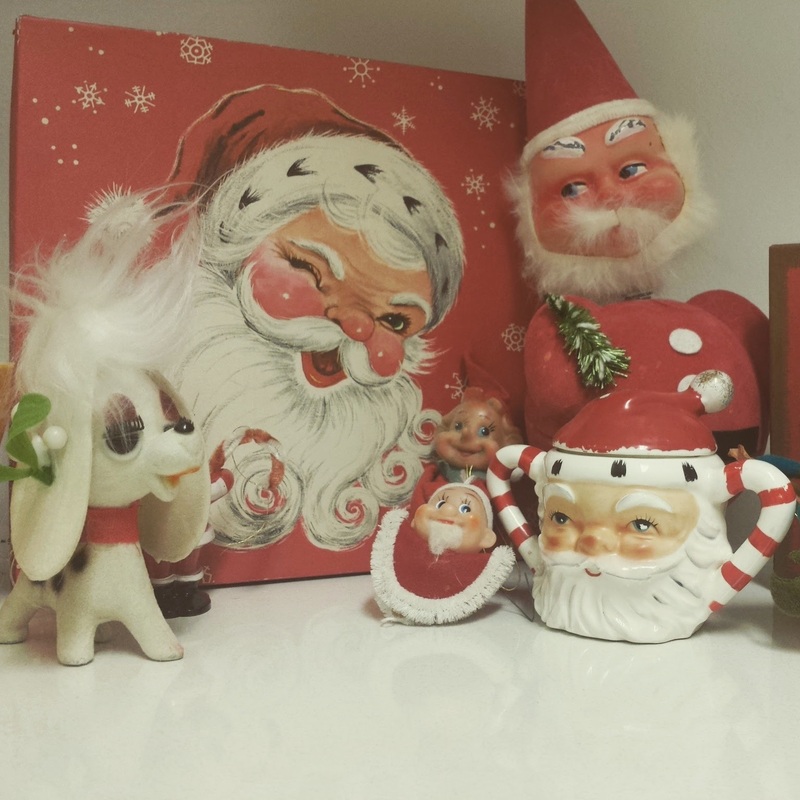 I am such a vintage Christmas junkie that I can hardly resell any! Have a great week. I am wondering if Target's in Canada are different than Target's in the US. There is no way that any of them would ever close here. I would die if they did! You must show your knee hugger collection as soon as they are all reunited. You must have a ton! Hope you get over your bug soon. That's a long time to be unwell. Great finds none-the-less! 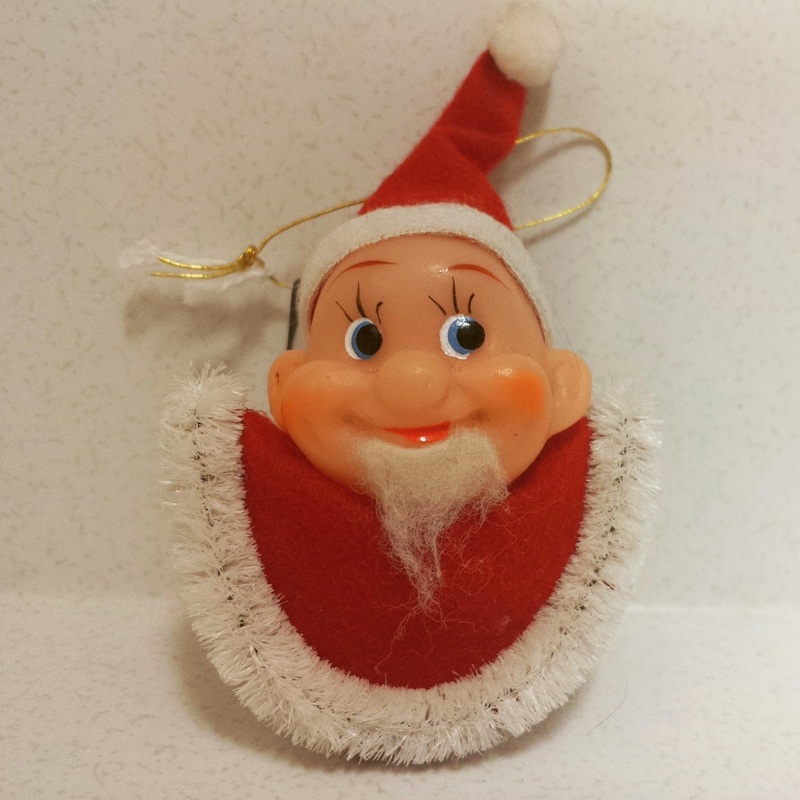 Winking Santa is probably my favorite. I only just put all BUT my trees and blowmolds away and trying to organize all the decorations into the totes was like building a jigsaw puzzle. No small feat. oh my! your new favorite is my new favorite, too! so adorable. Nice finds!! 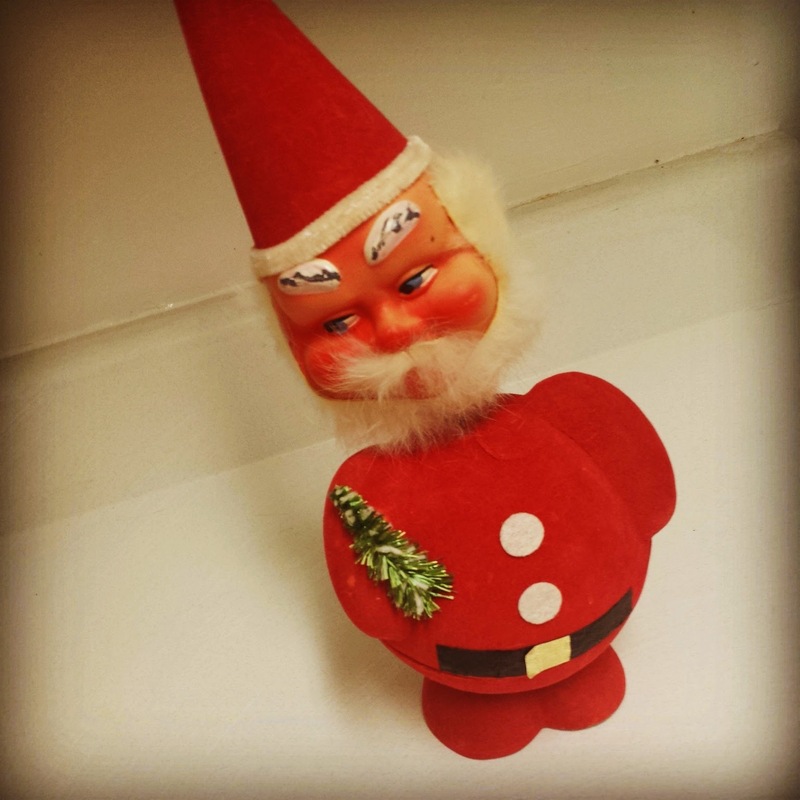 Everything you found in the line of Christmas is so cute!! And we LOVE them! My good friends in Canada say that the Targets up there aren't the same because they aren't stocked full, lots of bare shelves, and not the variety like we have here. That's a real bummer! Because a good, normal, Target is soooo great to have near you! Of course I love every single x-mas thing you showed! 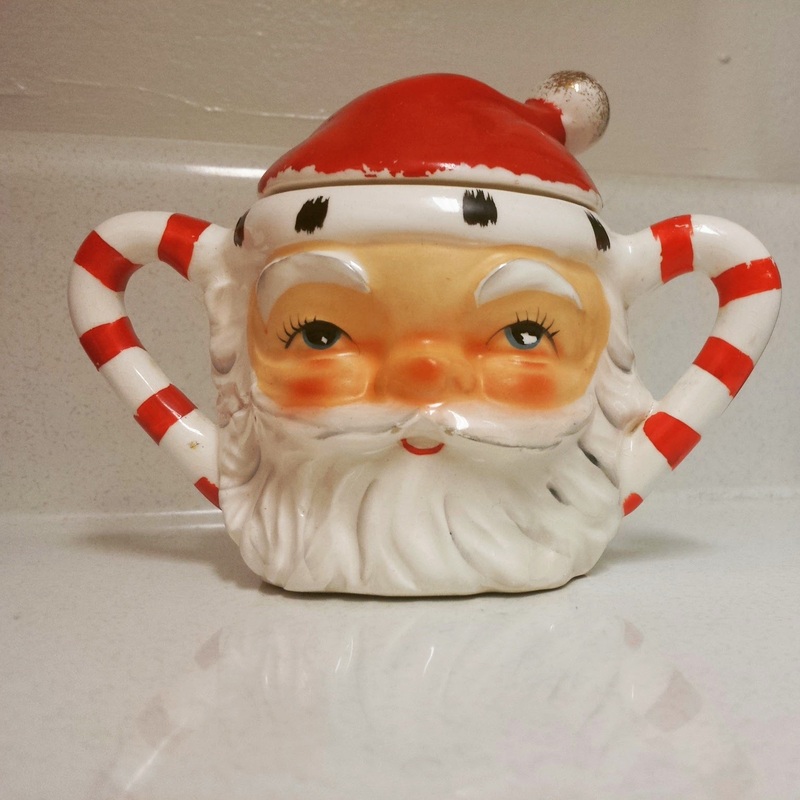 The Santa sugar jar is wonderful! 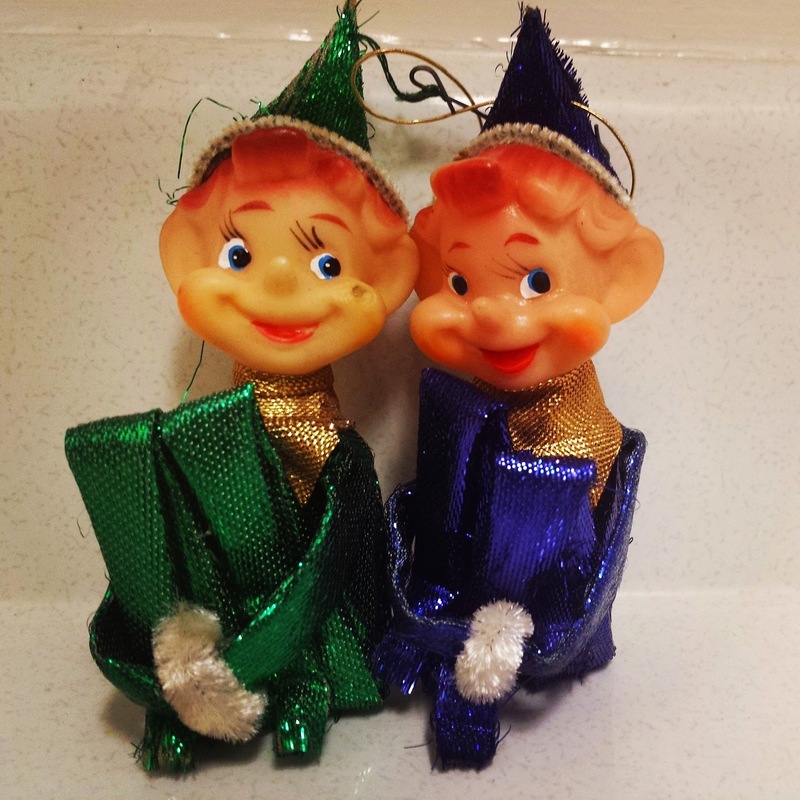 Thanks for sharing the last of the Christmas finds - I find this is the best time of year to find bargains on vintage Christmas. Thanks for hosting. Get well! I love everything you got! I kept oohing as I scrolled down through each photo. :) Great thrifties! Sorry I posted about dresses this week!